Despite what countless companies at CES were trying to tell you, a watch doesn’t need a touchscreen to be worth wearing. 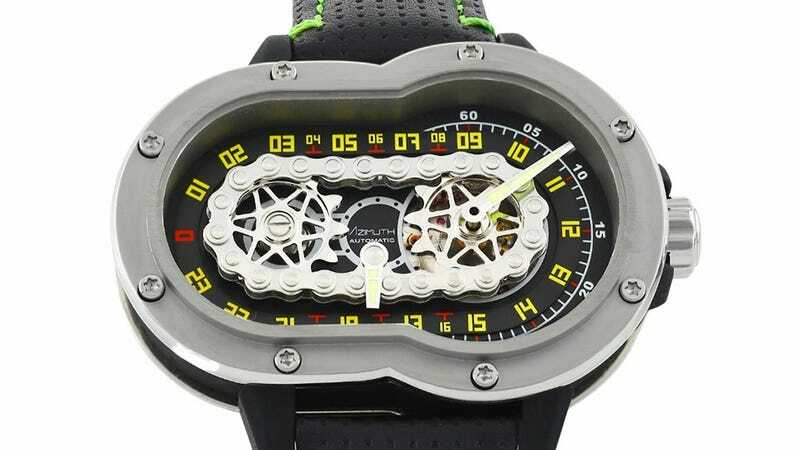 Swiss watchmaker Azimuth has long been known for its unusual movements, and this time the company has found inspiration in a motorcycle’s drive train. Unlike many mechanical watches that hide their innovations amongst a sea of gears and cogs, what makes the Azimuth SP-1 Crazy Rider notable is easy to spot. 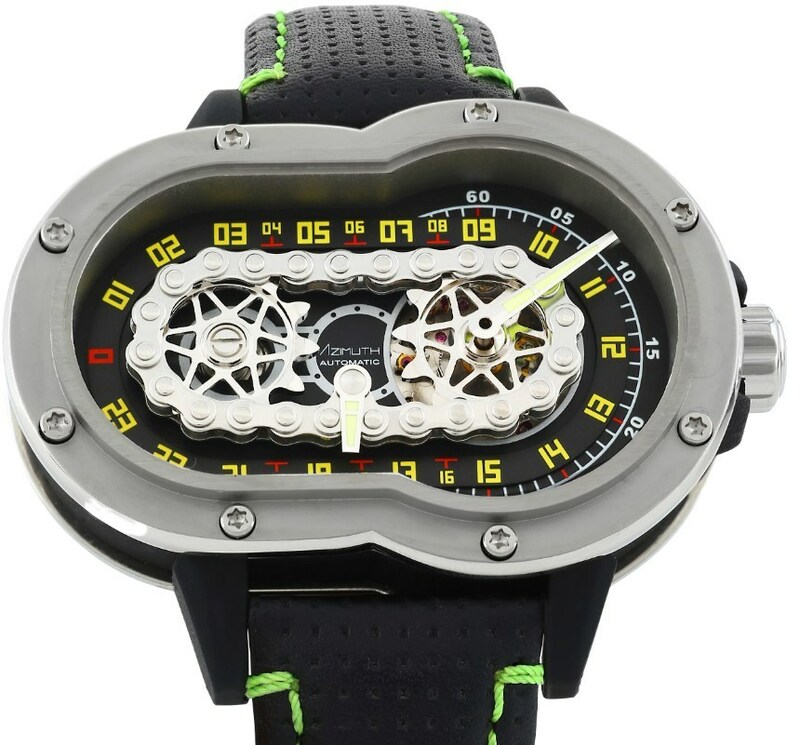 Inside the watch’s asymmetrical housing is a chain wrapped around a pair of sprockets that slowly turn in unison. As they do, a hand attached to the chain moves along a series of 24 numbers indicating the hour, while a more traditional spinning hand in the center of the left sprocket indicates the minute. The SP-1 Crazy Rider’s clever design is paired with some innovative engineering to make it just as functional, but does that make it worth just north of $5,200? That’s a tough sell even for a motorcycle enthusiast with a good paying job, and probably completley out of reach for those characters in Easy Rider.